Wovember readers, we have not forgotten you, neither have we forgotten the issuing of Prizes for your wonderful photo and blog competition entries! 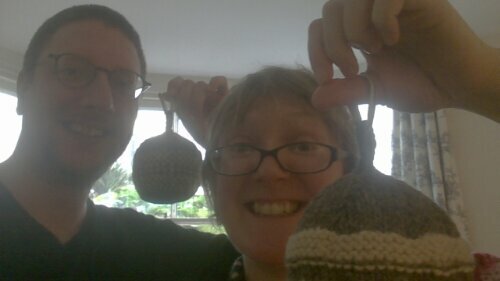 Today team Wovember members T & F met to trade woolskills, to talk about Wovember, and to delight together in WOOL. 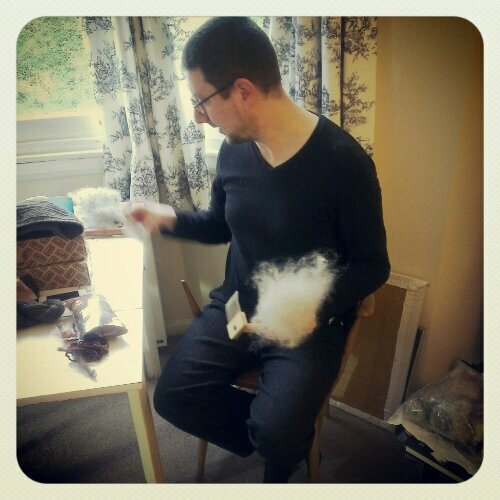 Here is Tom, combing fibres identified as Romney in Deb Robson’s Fleece & Fiber Source Book. 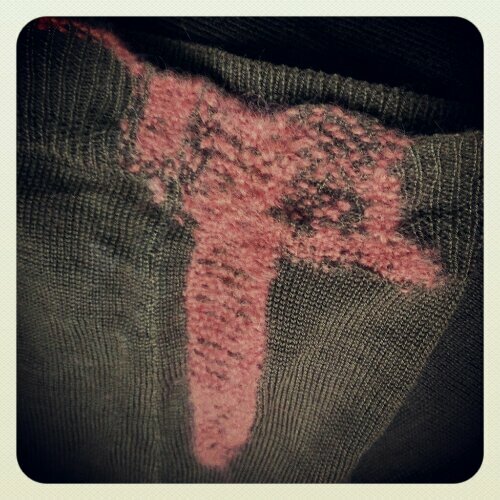 The fleece was purchased from Prick Your Finger’s ‘Murder at the Wool Hall’ installation at the Stanley Picker Gallery. Louise Harries and Rachael Matthews sourced wool for this project from within the M25! 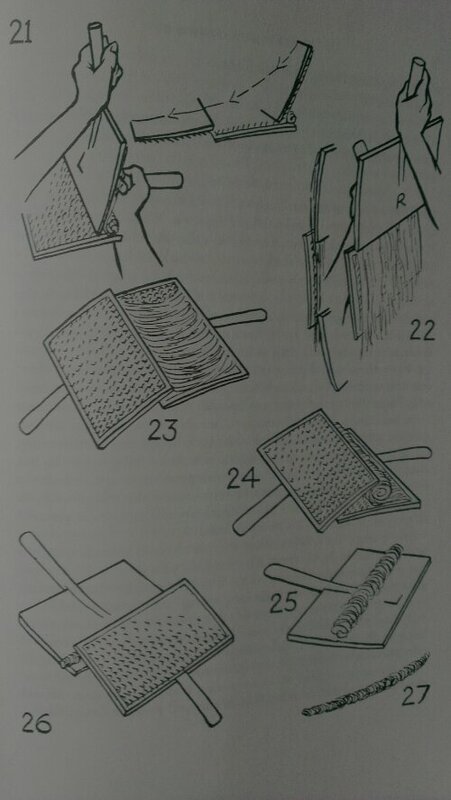 What we couldn’t comb, we carded, taking knowledge from Elsie Davenport’s book on handspinning – an important source for Tom’s superb ‘Wovember Words’ post series. 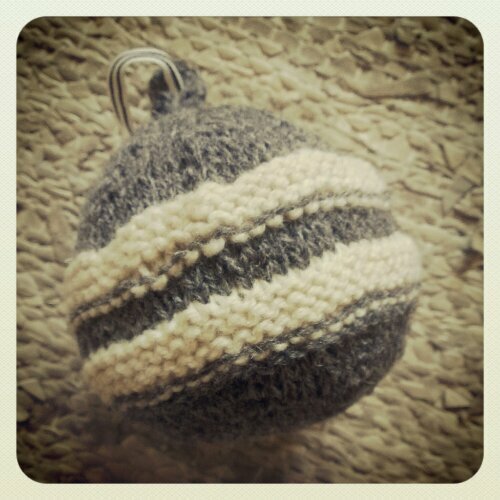 We delighted in the beautiful baubles made of wool by Joanne for us. We raptured about Cecilia’s handspun – photos to follow – created with great skill and love for a lucky Wovember competition entrant – and I mended a sleeve.